Whether you are an Advocate, Protector, Ambassador, or Benefactor for Life, we could not do our work without your generous sacrifice. Thank you for not just MAKING a difference, but for BEING the difference! In addition to monetary donations, Turning Point Pregnancy Resource Center is able to accept non-cash assets. Real property gifts are also welcome and include real estate or vehicles. 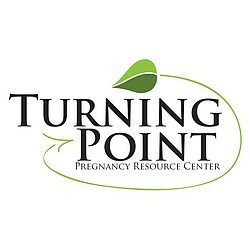 Turning Point PRC also accepts the donation of gently used baby (up to one-year-old) and maternity items. Please be sure all donations are in good condition. We are not able to accept car seats or cribs. Please call to schedule an appointment to deliver donations. For more information or questions about making a non-cash donation, please call our office at 858-397-1970. As an Advocate for Life you see first-hand the impact your voice for the voiceless has made in the surrounding community and you seek to promote life within your personal circle of influence. You may give financial support occasionally or during special events, but your greatest gift is your gift of time volunteering at Turning Point Pregnancy Resource Center. As a Protector of Life you feel strongly about pro-life issues and realize Turning Point Pregnancy Resource Center’s ongoing work is vital to the community. You faithfully give monthly financial support to help sustain the ministry and keep its doors open so that every life can find protection for the precious and unique gift that it is. your life for this purpose. As a Benefactor for Life your love and passion for life has helped you see the long-term “big picture.” You believe that your financial gift must transcend the present and succeed in teaching life’s value and significance to future generations. You desire to leave a personal legacy for life to help sustain the ministry of Turning Point Pregnancy Resource Center for many years to come.